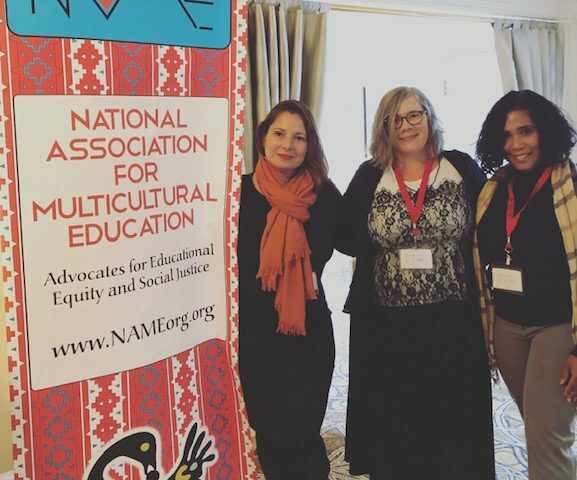 Kristin Kibler and Lydia Ocasio-Stoutenburg, fourth-year doctoral students in the Department of Teaching and Learning, and faculty member Dr. Ana Menda, Ph.D., were looking forward to sharing their insights at the National Association of Multicultural Education’s annual conference. 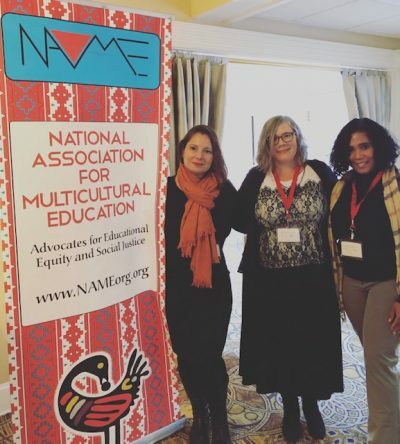 While they expected to talk about their work on preparing the next generation of undergraduate and graduate educators to teach in diverse classrooms, they did not expect to many insights they received from researchers and educators across the country. 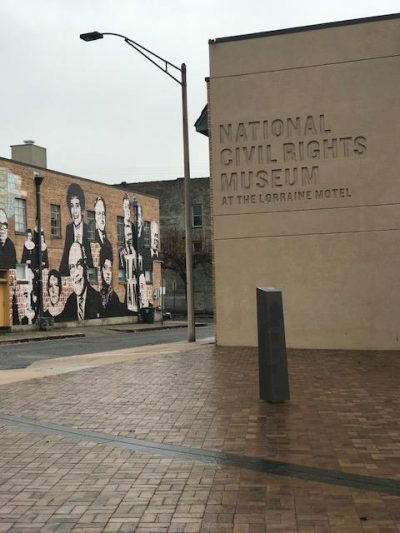 In addition, the November 27-28, 2018 conference in Memphis, Tennessee, was an historical moment, marking the 50th anniversary of the assassination of civil rights leader, the Rev. Dr. Martin Luther King in that city. The theme of the NAME’s 28th annual conference was “How Many More ‘Til We Rise Up? A Radical Response of Love, Life and Dr. King’s Dream.” It brought together scholars and community leaders to present their current research and to demonstrate their responsiveness to the communities they serve. Kibler shared her current doctoral dissertation research, which explored how schools and educators in Miami-Dade County responded to the influx of immigrants and refugees from countries like Guatemala and Honduras, in providing academic, language, and social supports. Menda, Ocasio-Stoutenburg and Kibler also shared how culturally and linguistically responsive pedagogy, disability studies, and critical race studies, to name a few critical perspectives, guide their teaching content and allow students to express their learning. Dr. Menda and Kibler also met members of the Florida chapter of NAME, comprised of faculty and doctoral students from the University of South Florida, Florida Atlantic University, and the University of Florida. Dr. Menda shared how important it was to remain connected with other faculty, students, and alumni across institutions. On the final day of the conference, Ocasio-Stoutenburg shared her presentation: A series of qualitative interviews with SEHD Professor Emeritus Dr. Robert F. Moore, who reflected on his 50-year legacy in the field of education as well as his 40 years at the University of Miami. Dr. Moore shared his journey as a black faculty member at a predominantly white institution, and traveled across the shifting historical backdrop, which included a highly segregated South, the Civil Rights movement, the desegregation of schools, and the introduction of new education policies and programs that may or may not support the needs of students, their families, and their communities.